To follow all the Paypal saga visit Smashwords Official Blog and cheer with me that high-handed discrimination lost this round! Today Jamie Ayres is hosting a first-page contest on her blog, to be judged by author Heather Burch. Five random winners will receive a personal critique from Ms. Burch. Here is the first page of my paranormal romance manuscript, Blood Bound. Spread <3, Not Hate is an inspiring Blog Hop hosted by K.C. Neal and K.M. Parr. Over 100 bloggers have gotten together to post about bullying and raise awareness! While I am not participating as a blog I am joining the challenge and hope that everyone here will too. Visit any of the great blogs (see below) to find posts, articles, and giveaways all centred around the idea of stopping the Bully! Here’s my Pledge! Where’s yours? 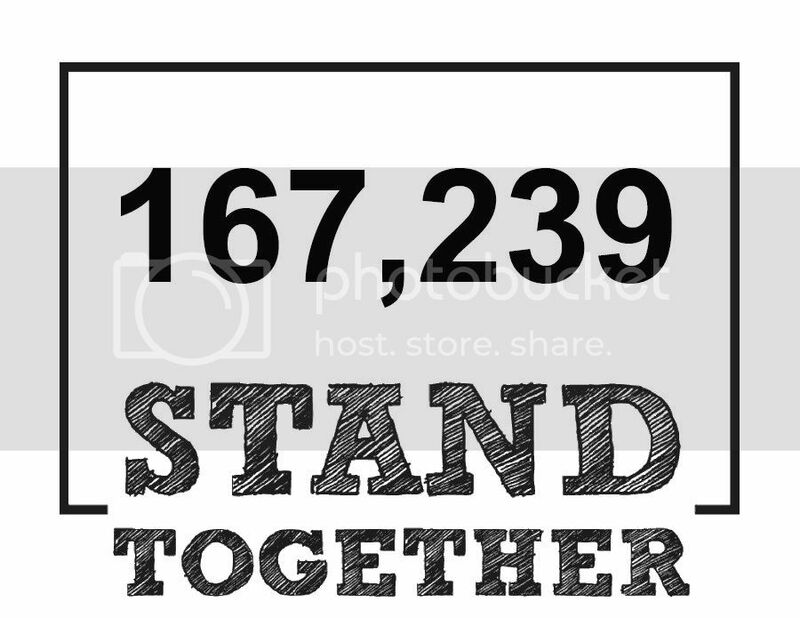 Click here to Stand Together!